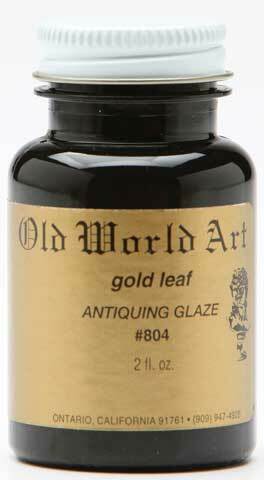 Antiquing glaze adds an aged look to gold leaf, creating a crackled surface. It goes on before the final coat of sealer. The black glaze colors the leaf, giving it a slightly tarnished look. In 2 oz. bottles.